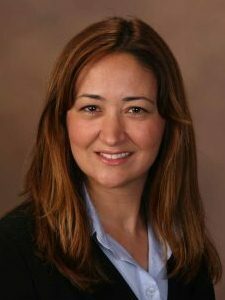 ESRA MEMILI, PhD is an Associate Professor of Entrepreneurship with Tenure and Margaret Van Hoy Hill Dean’s Notable Scholar at the Bryan School of Business and Economics at University of North Carolina- Greensboro. A scholar in family business and entrepreneurship, she is the author of accepted and/or published manuscripts that have appeared in the top entrepreneurship and family business journals such as Entrepreneurship Theory and Practice, Family Business Review, Small Business Economics, Journal of Small Business Management, Global Strategy Journal, Journal of Family Business Strategy, Academy of Management Best Paper Proceedings, and others. She is an Associate Editor at Journal of Family Business Strategy, and a member of the Editorial Review Board of Family Business Review, Journal of Management Studies, Journal of Leadership and Organizational Studies, and International Journal of Management and Enterprise Development. She has been a Guest Editor for Special Issues on family firms at International Journal of Financial Studies and Journal of Family Business Management. She has recently been invited to be a Guest Editor at Entrepreneurship and Regional Development journal Special Issue on Family Firms. She is the recipient of Family Owned Business Institute Research Scholars of Award and Grant (2009 & 2012). She has over 90 international, national, and regional academic conference presentations.